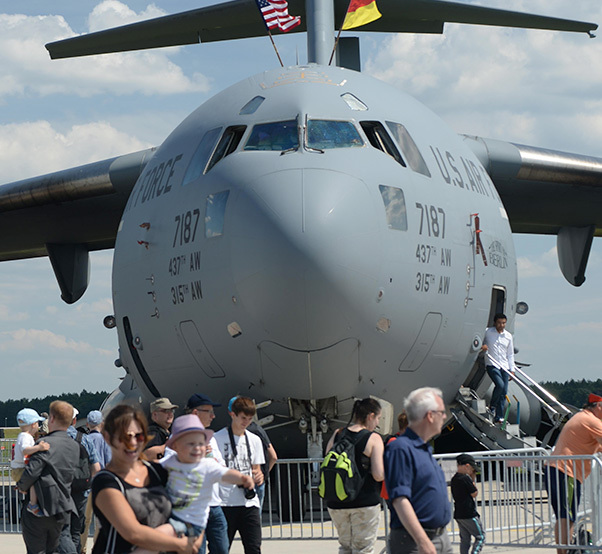 A C-17 Globemaster III, dubbed “The Spirit of Berlin,” assigned to the 315th Airlift Wing at Joint Base Charleston, S.C., is parked as a static display at the Berlin air and trade show in Germany on June 3, 2016. The Spirit of Berlin was dedicated by former U.S. President Bill Clinton in 1998 on the 50th anniversary of the Berlin Airlift. U.S. military aircraft based in America and Europe were on display during this year’s Berlin air and trade show from June 1-4. The International Aerospace Exhibition (ILA) is one of the oldest air shows around dating back more than 100 years. 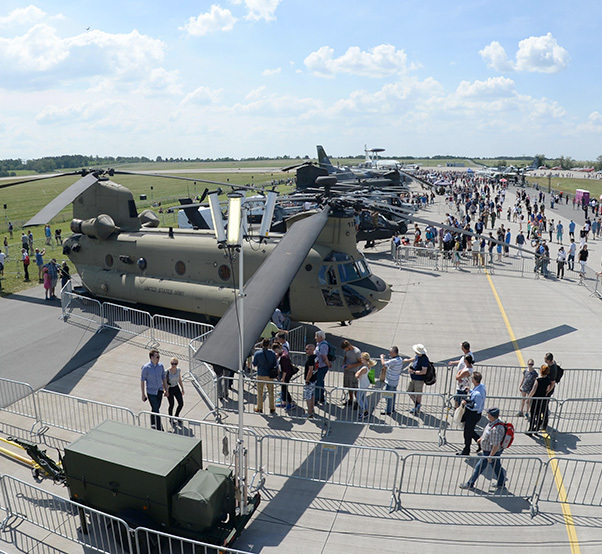 ILA hosts a trade exhibition for aviation and military organizations, as well as an air show for the general public where 200 aircraft from 37 countries on the ground and air were exhibited this year. The Berlin air show presented an opportunity for U.S. and other military allies to showcase their leadership in aerospace technologies and to build partnerships. The first two days of the event were designated for trade visitors, while the final two days were open to the public. 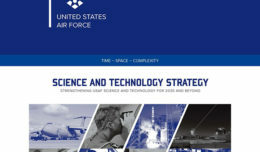 “It’s important to be here to demonstrate solidarity with our partner nations, show how we can work together and what we can develop together for future operations,” said Lt. Col. Steacy Housholder, the Air Force Global Strike Command bomber training standardization and evaluations chief from Barksdale Air Force Base, La. Participation in the event allowed U.S. aircrews to speak with other aircrews and increase their understanding of each other’s proficiencies. An Army CH-47 Chinook, based in Ansbach, Germany, is parked as a static display at the Berlin air and trade show in Germany on June 3, 2016. 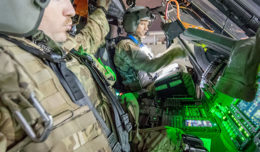 The Defense Department participates in air and trade exhibitions to provide honest, objective and candid portraits of the capabilities of U.S. aircraft, which improves international understanding between aircrews. Building familiarity and partnerships with NATO allies was also a goal shared by the German host. U.S. military aircraft on display during the show included the C-17, dubbed “The Spirit of Berlin;” a B-1B Lancer; C-130J Super Hercules; and an Army CH-47 Chinook. A B-52 Stratofortress performed a flyover on June 4.